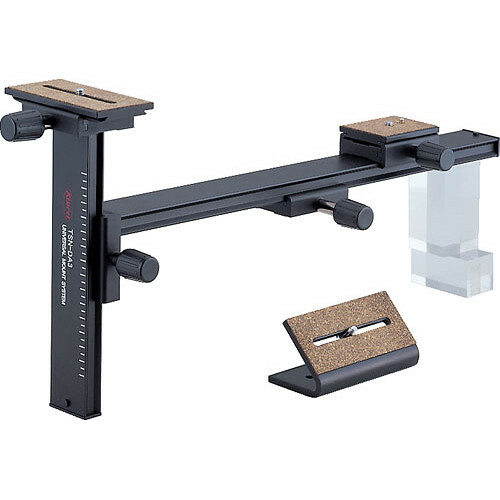 The TSN-DA3 Digiscoping Support Bracket allows you to connect DSLR, compact, or video cameras to most Kowa spotting scopes. The bracket mounts on a tripod and has a platform for the camera and an elongated brace for the scope. The tripod mounting point is movable, so you can achieve the best balance for your rig. The camera can be moved a total of 2.2" (55mm) side to side so its lens lines up with the scope's eyepiece.